← Benjamin Black’s Vengeance Quick Review – Audiobook update! 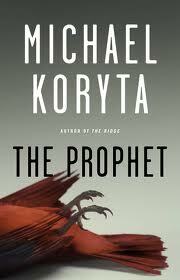 This entry was posted in Commentary, Review and tagged Michael Koryta, Review, The Prophet, thriller. Bookmark the permalink. Sounds good. I am going to put it on my to read list. Thank you!